We’re collecting messages from the world’s most important women (YOU!) in celebration of International Women’s Day today. It’s the one day we own. A day we can show our love and support for womankind, all with one simple tweet. 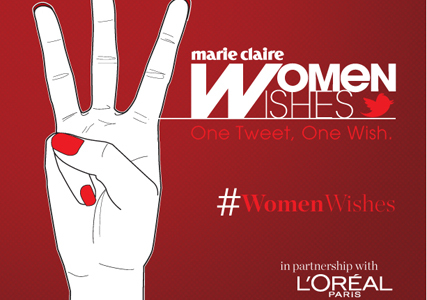 L’Oreal Paris’ ambassadors Beyoncé, Jane Fonda, Julian Moore, Eva Longoria and Doutzen Kros have already have recorded their wishes: mini—videos will be broadcast throughout the day, so keep checking our twitter page for the latest news.